What is the least efficient car on sale in the UK today? Not a question most of us have asked directly, but when you hear about Toyota Prius this and Lexus hybrid that, do you ever wonder what is the highest producing car on sale in the UK today? Let me introduce you to the hall of fame, and you won’t be surprised to hear that it is exclusively populated by Italian supercars. July 2000 – April 2002 – The most inefficient car in the UK was the one and only LAMBORGHINI Diablo, producing a colossal 590g/km of CO2. That’s almost a bag of sugar’s worth of CO2 every mile! May 2005 – September 2005 – Ferrari really show Lamborghini who’s boss with another entry, the mighty Enzo. You had to be invited to buy one by Ferrari, and they were a cool $1m a pop. And at 545g/km surprisingly less than a 456. October 2005– August 2008 – As the Enzo ceased production it gave Lamborghini a chance to get back in the game with the Murcielago producing a positively respectable 500g/km. And you also may have noticed that over the last 8 years the supercars have (dare I say it) become cleaner? Lamborghini’s top of the range model has gone from 590 to 500 g/km. Have supercars gone all soft and reached for a pair of lentil sandals? Not a chance. 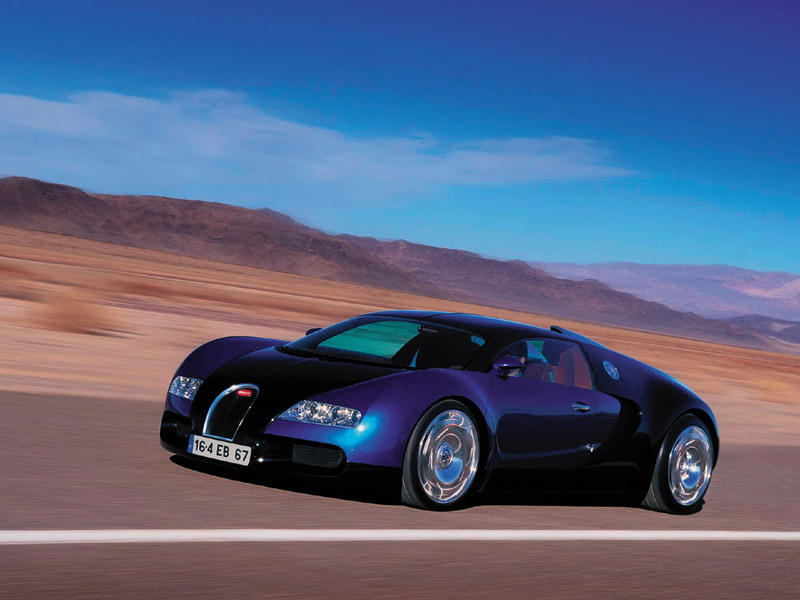 In October 2005 Bugatti released the 250mph Veyron and all was right with the world again. Averaging a 596 g/km, at top speed this behemoth will gobble almost 2 gallons of fuel a minute. Doing some shopping? Well through town the Bugatti will officially produce 960 g/km of CO2. To put that in context it is the same as driving 9 and a half VW Polo Bluemotions at the same time. Short of towing a bonfire down the road behind a tractor with a hole in its fuel tank, its pretty hard to produce more CO2 / km than that. Of course there are a lot of other factors here, such as NOX levels, particulates, energy required to produce the vehicle, shipping, all the nasty chemicals produced in manufacture and so on, but that would all make this a bit dull. So the “take-away message” is simple. If you really don’t believe in or care about global warming (and have a bottomless wallet), a Bugatti is the car for you!